Winter is soup time. The best soups are warm, filling, and (relatively) easy to make. 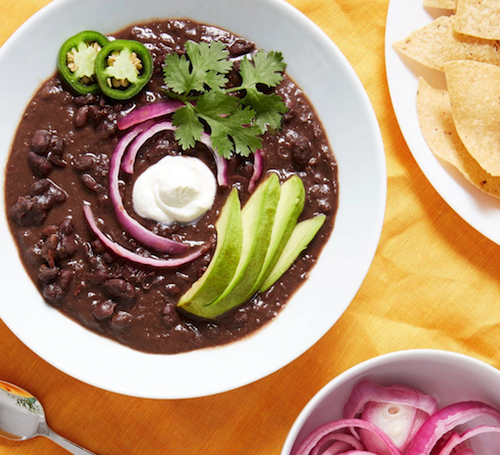 Black bean soup fills that description perfectly. It is healthy, can be vegetarian and vegan, inexpensive, and filling. Enjoy this classic soup on a weeknight to take the chill out of your bones. The optional garnishes suggested (pickled onions, avocado, chiles, and sour cream) add a nice texture and flavor profile. Leave out the sour cream if you want this to be vegan.